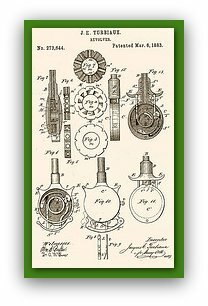 Patent inventions. That’s often one of the first pieces of advice a novice inventor hears. Let’s look into invention patenting – everything you need to know and nothing more. Easy to understand and clear information on the steps for getting a patent for your invention. Let's start. A patent is a legal protection given to the owner of an invention (usually the inventor) for making his invention idea public. Assume you came up with a new invention, let’s say, a cool transparent toaster. You do not patent the invention and happily produce it and start selling it in your shop. The day after you do so, your neighbor realizes that there is a huge market for these transparent toasters, and he goes on to copy your product and sell it to anyone who is interested. Your profits go down, and you might even incur a loss, as you invested quite a bit of money in creating your new product. The next time you come up with a brilliant idea, you will think twice about doing something with it, as anyone could immediately steal your idea and sell the same product. You might not disclose that second lovely invention and the rest of us will lose out on the chance to enjoy this new creative invention idea. Many inventions were built on the shoulders of their predecessors. If the car wasn’t invented, the power steering wheel wouldn’t have come into the world. By encouraging inventors to make their invention public, through patent invention, the patent system promotes creativity and invention and the world at large benefits. For you as an inventor, a patent is almost the only way to guarantee you will be able to make money off of your ideas. If you succeed in getting a patent for your invention, no one else can make a similar product, sell or otherwise make profit out of your invention, without your approval. Can you see the potential? If your invention has commercial value, meaning – people will want to pay money to enjoy it, they will have to either pay you, or get your approval (usually in the form of a license to use your technology or sell your invention), which will then translate to more financial gains for you, and make the whole invention process worthwhile. Many people mistake the use of patents as a legal tool that allows you to produce or use your invention. That’s not what patents are for. Patents allow you to prevent others from selling, using, offering for sale or importing your invention idea – they give you a monopoly over your invention, for a limited period of time. "I am convinced! Tell me how to get a patent"
Hold on. A patent is good to have – however, they are not that easy to get and they can cost you quite a bit of money. In order to get a patent you need your invention to pass some specific tests, as not everything is patentable. You should also understand that a patent gives you protection only in the country that granted your patent. As a result you have to apply to each and every country in which you want your invention protected. If your invention received patent protection in one country, that doesn’t necessarily guarantee that another country will grant you a patent as well for the same invention. If you applied for a patent in the US, and were granted one, someone in the UK can still produce, import or sell your invention freely, and there is nothing you can do about it. So should you patent your invention all over the world? Not really. This involves quite a bit of work, and more importantly, quite a bit of money. You will need to apply for a patent in each and every country, do a patent search for all those countries and pay the fees associated. For most individual small inventors, this doesn’t make financial or practical sense. Do I really need to patent my invention? If so, in which countries is it beneficial for me to apply for a patent? Assuming your financials are limited and you don’t want to apply for patents all over the world, you need to decide who are your most important markets and how much can you stretch your budget to cover the patent cost. Your future plans for your invention should influence your decision where to apply for a patent. Ask yourself – Does my invention have commercial potential? Who could use my invention? Could the technology be part of another product with commercial value? Is my invention only relevant for specific markets? What are your intentions for your invention? Do you just want to start producing your new product and selling it? Are your plans small? Do you only want to make sure your own country market is protected? Maybe it only makes sense to apply for an invention patent in your country. Be careful not to discount the potential of your invention. It might prove to be an important discovery and quite useful commercially, in which case patenting it in at least a few big markets might make sense. Researching the market for your invention, might help you clarify its potential. Also consider your ability to enforce your patent protection. As I explained, your patent protection gives you the right to prevent others from using, selling, importing or offering for sale a product that uses your patented technology or product. This literally translates in easy terms to: if you catch them infringing your patent, and if you can take them to court, and if you prove that their product violates your patent protection, then and only then will you be able to get a court order that stops the infringing parties from continuing to benefit from your invention and get compensation. Did you see which word appeared the most times in that last sentence? That’s right – “if”. Having the legal rights is not enough. You need to be able to enforce them. In many countries that’s not that easy. When considering a country for a patent application, ask yourself will I be able to take the infringing parties to court? How easy is this country to enforce my patents in? If you think too much cost and hustle are involved, it might not be worth it to apply in the first place. Sounds complicated and scary? It isn’t. Don’t let it discourage you – many individual inventors do take infringing entities to court and win! This is often when getting a patent becomes really worthwhile. Now that you know what a patent invention is and why you should consider applying for a patent, it’s time to check whether your invention idea is patent-able and whether it is new or has been patented before. You might also want to check how to patent an invention in 8 easy steps. Learn how to do a a free worldwide patent search online, search the United States Patent and Trademark office or find the right paid patent search service.